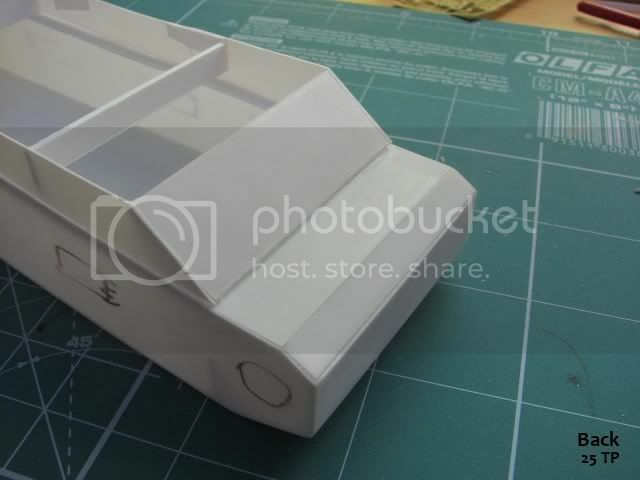 Finally I decided to make this model but I know that it is all fighting a loosing battle. My earlier scrath projects, like as PZInż 202, where I got only 3 photos (lucky me!) now look like children's puzzle. After 1935 polish army started to seriously reorganize it`s structures by putting new kinds of modern and technologically advanced equipment into operation. Modernization of armor forces and mechanization of whole army were one of the crucial elements of passed plan. Although still main types of polish forces were infantry and cavalry (year by year better equipped with effective antitank and antiaircraft weapons) armor forces started to develop very quickly to come up with growing military potential of enemies – III Reich and Soviet Union. Polish military think-tanks rightly noticed urgent need of medium (heavy?) 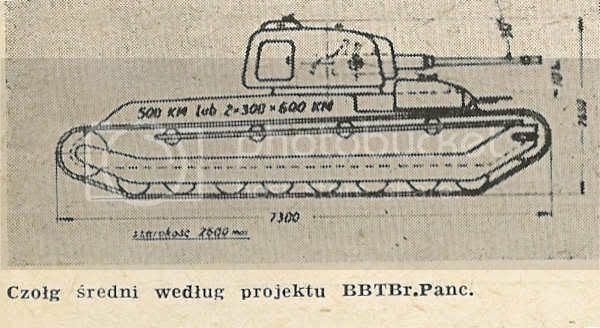 tank which could support existing recon tanks (TK-3, TKS,) and light tanks (Vickers E, 7TP) and create new quality within Polish armor forces. 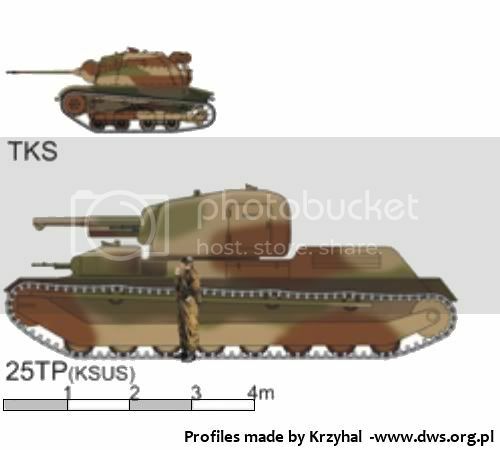 Soviet army was perceived as more serious enemy than III Third Reich, that`s why Polish medium tank program was based on soviet experiences (T 28, T35) and customized to realities of possible war in the east. Seriously speaking I really doubt in those speed 945/25 km/h). 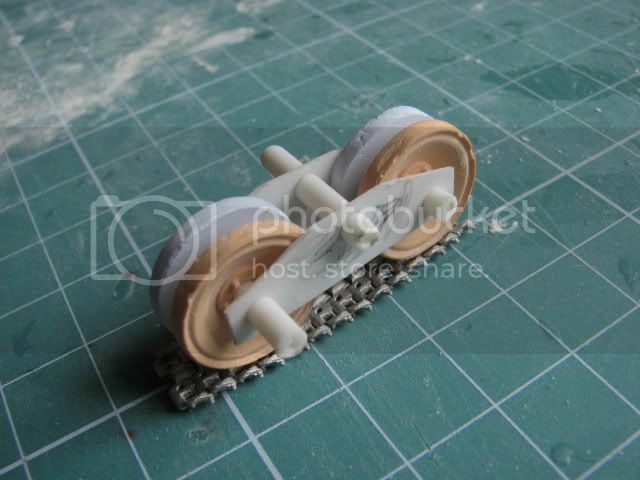 Right now I`m making “mother-wheels” ( those bigger ones) to copy. I need 32 of them so it will take some time. Perfectly! I will observe with interest, I love projects. 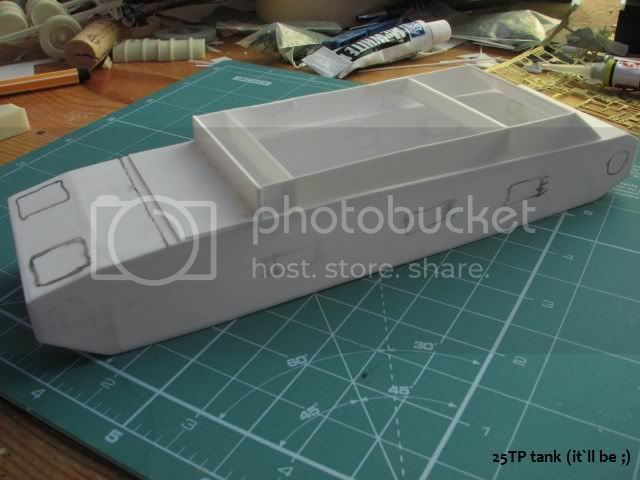 I made a main body of tank, which rather looks like severe kayak or german mini Uboot Lenght of this vechicle is more than enigmatic. 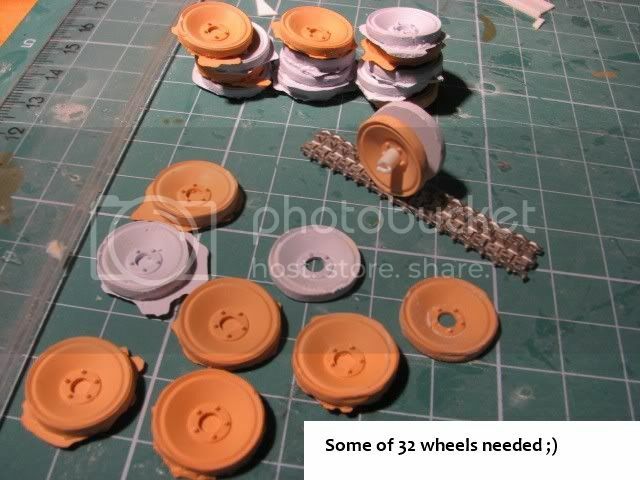 Wheels are "in progress" but making 32 same round elements will take a while. I gues that the should be installed in "twin" carts - 4 doubled carts per each side = 16 x 2. 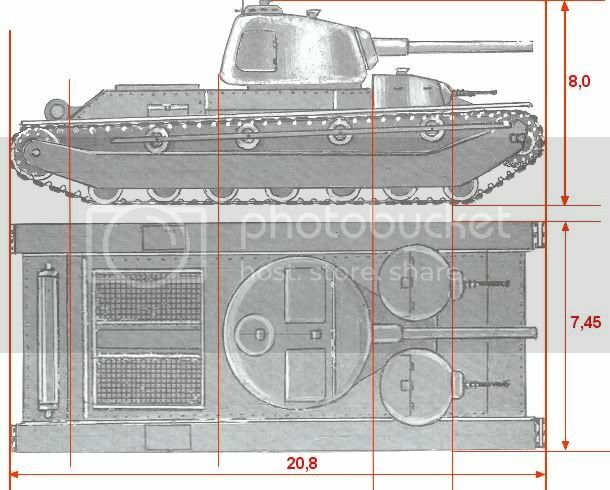 I think that there is a big resemblance between 25TP, Russian T28 (T35 is to big) and German NbFZ (not sure where the propulsion wheel was?). So guys, does length really make difference ?! 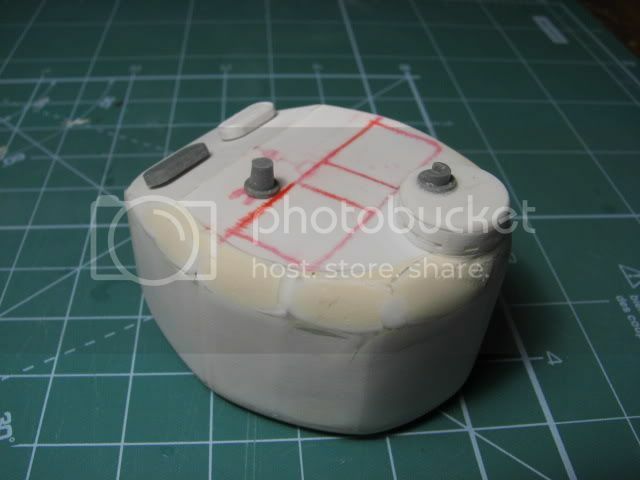 When talking about Polish prototypes there is always question about method of linking the armor sheets - welding or screw connections. Welding seems to be more accurate. Last edited by Jendrass; 05-15-2010 at 03:02 AM. 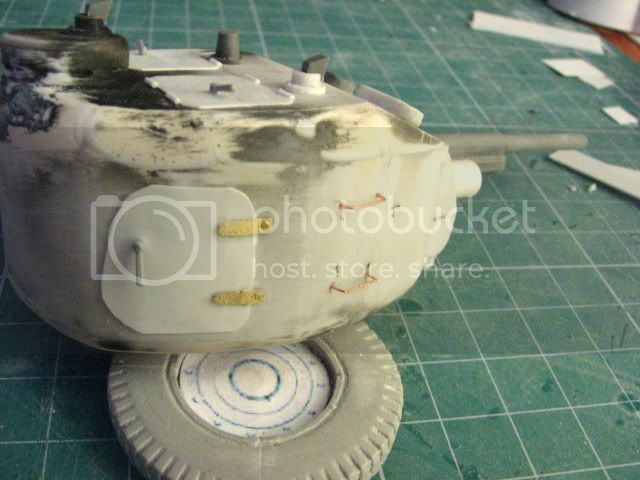 It was diffucult to make such a turret from scratch but result is better than I expected. 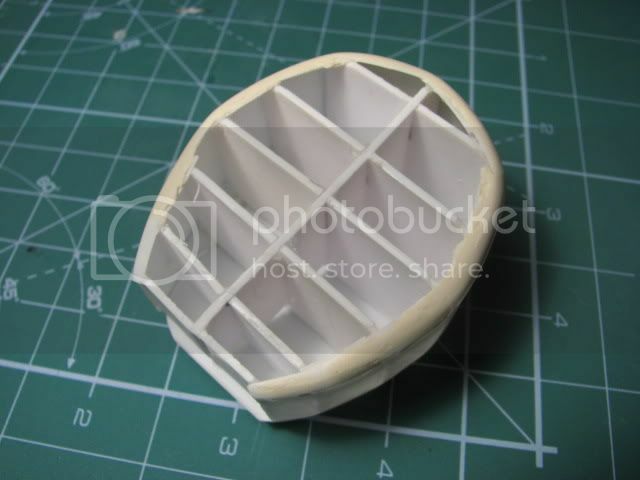 Still there are some deficiencies but the most annoying part is finished. 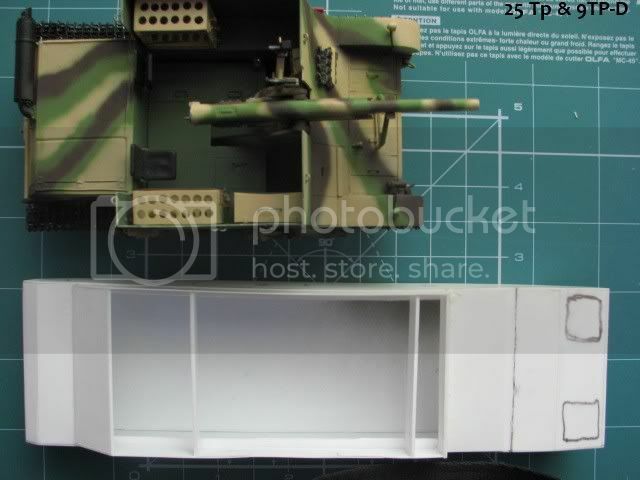 I`ve been thinking about main armament. Pre-war drawings show that the 75mm canon is Schneider mk 1897 but some time ago I`ve made Polish AA gun 75mm (quite uniqe stuff). 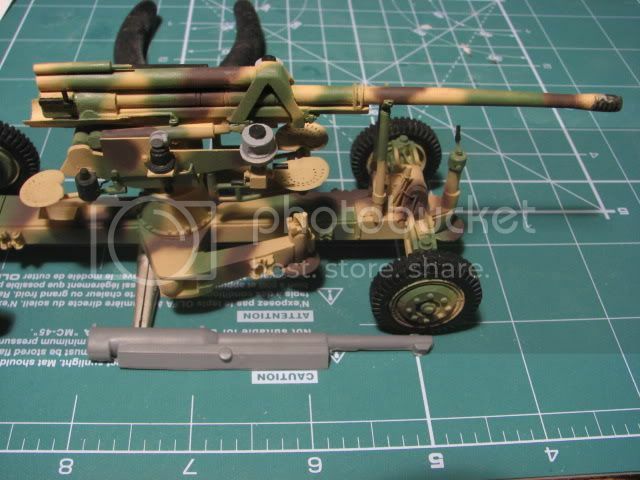 Unfortunately the AA gun is far too long to place it into the turret. I need to install this dumpy schneider. 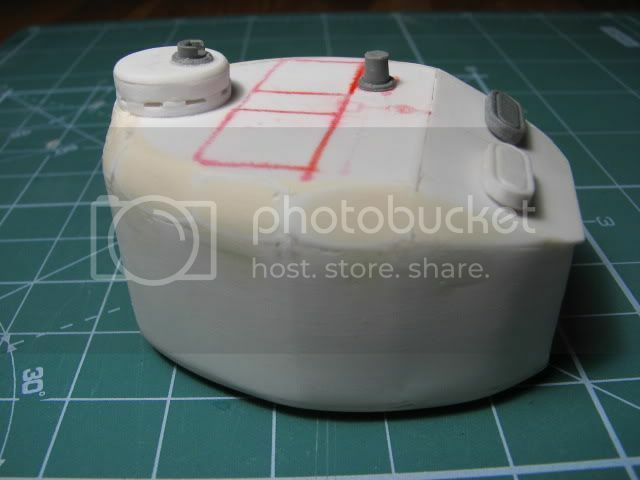 Many questions related to turret "infrastructure" appeared - backsight, ventilators, scopes ... I need to take it all in a pinch of salt. It all looks like quarry work and amount of time needed is more than hard to forsee..
You are THE crazy of the month with this integral scratch building!!! Scratchamania - good luck. You have both courage and skill.